LCD TVs have always been a compromise, but plasma is dead and OLED is a disaster. For me, LCD has always been a compromise in technology. To my eye emissive display tech - where the pixels produce light, not a separate light source - are better at producing natural images. Compare, say, plasma (and CRTs before them) to LCDs and, especially in the years when these technologies first hit the market and the picture quality of plasma was always better. And do you know what, my seven-year-old Pioneer Kuro is still holding its own against modern 1080p sets. Why? Well, it's about black levels. The problem with LCD is always that its light source is separate from the source of the image - in LCDs case, little pixels in red, green and blue colours - so there are problems producing accurate colour as well as deep blacks. Of course, LCD does some things really well. It's usually got a very sharp image and can be easily scaled to higher resolutions. Plasma could never have achieved 4K panels without massive power consumption, rendering them illegal in many countries. In an ideal world, OLED which is, yes, you guessed it, another emissive technology, would be all the rage by now and LCD would have died off and be remembered as what it really is: a compromise. 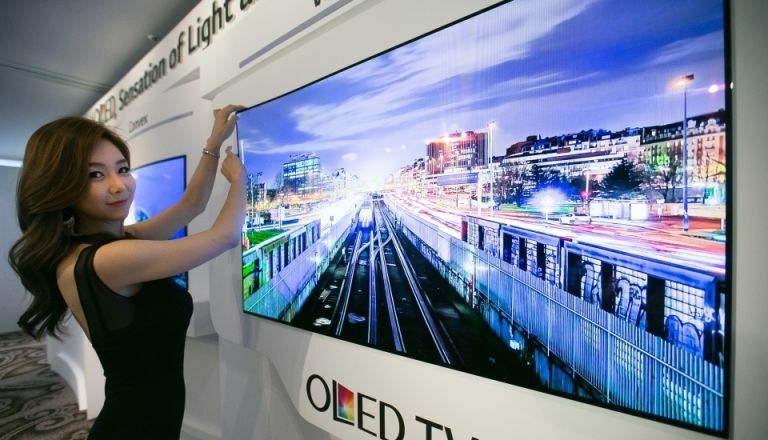 But there's a problem, OLEDs are near-impossible to get right at large sizes. So far only LG has really managed it, and the technology is still very expensive. So LCD TVs have hung in there, and will continue to do so for some time. Another newish tech, called quantum dot, is currently giving it much improved black levels and colours. This is, for LCD, the first time it has really shone. I've looked at some of these TVs, including Samsung's amazing 4K models, and they are epic. They offer the best possible LCD picture at a price that suits most pockets - although not cheap, but still more affordable than OLED screens. Quantum dot TVs still have some of those LCD problems that plasma never suffered with. Viewing angles, for one, are still a huge issue for many LCD TVs. Backlight bleed, where the edges of a screen glow white still cause problems and even new quantum dot TVs can have ringing around bright objects on black backgrounds, something that's caused by that pesky backlight design again. The problem is that the move to 4K has sort of distracted everyone from the real issues. Resolution is only ever part of what makes a TV good or bad. There were, for example, times when I would review a 720p plasma and prefer it to the 1080p model. That was especially true with Panasonic with standard definition content. Now it's 4K TVs that are selling and the technology that produces the image gets somewhat ignored. So what am I saying here? I'm saying LCD need to go, as quickly as possible. I think that new display technologies like OLED, and perhaps a tech called QLED, which takes quantum pixels to the next level should be what manufacturers focus on. Panasonic told me some years ago that it would get OLED right very soon - its heart was never in LCD, but it made a compromise to accommodate 4K. How do we make this happen? I have no idea, but LG seems to have nailed OLED so the technology is viable, the problems seem to be yields and, therefore, profitability. And it's hard to condemn TV manufacturers, it's been a tough five years with many players pretty much giving up, and the rest struggling to make ends meet. So please, let's kill LCD off ASAP. Liked this? Why not read Apple Music: in tune or a bit of a racket?